Heather represents and counsels employers in all aspects of employment law, with an emphasis on defending equal employment opportunity cases, including “high stakes” discrimination class actions. Heather devotes a significant portion of her practice to helping employers develop or revamp personnel processes, build "best practices," and ensure compliance with federal and state laws and regulations impacting recruitment, hiring, promotion, compensation, performance evaluation, termination, affirmative action compliance, voluntary diversity and inclusion programs, succession planning, and other personnel practices. In particular, Heather has significant experience partnering with employers who seek to design improved and compliant personnel processes through a transition to new or upgraded workforce-related software and HR technologies. As part of this counseling, Heather regularly provides compliance advice regarding multi-jurisdiction background check laws, e-signature and data retention requirements, and the use of computer algorithms in hiring and other personnel processes. Heather’s practice also includes a special focus on the development and analysis of statistics used in case defense, to conduct preventative, privileged diagnostic reviews of employers’ personnel practices (such as pay equity audits), and to develop diversity and inclusion metrics. 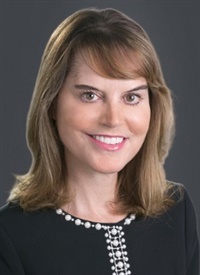 Prior to joining Grube Brown & Geidt LLP, Heather was a partner in the Employment Law department of Paul Hastings LLP and the Global Chair of the firm’s Workforce Data and Technology practice.